I found out one morning that it was my friend’s birthday. I texted her husband to see if he had bought her a cake and turns out he had not. So I scrambled and baked a cake that morning. I had it frosted and decorated by noon. This is the fastest I’ve ever turned around a cake. 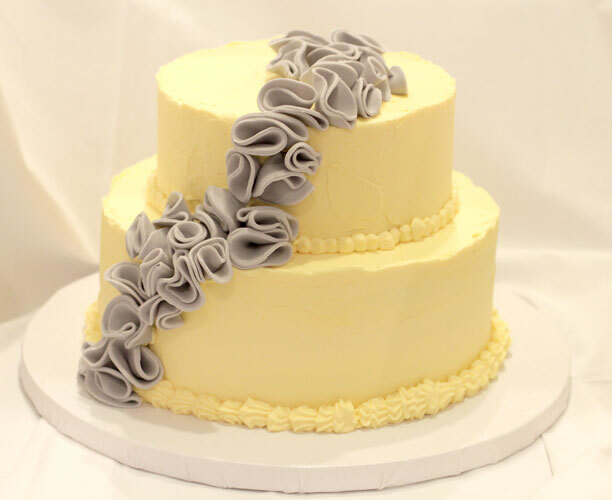 As some of you might know, you should not bake and frost a cake in the same day. You really need to make sure that the cake is cool and has stopped baking before you frost it. Otherwise the buttercream will melt. So I baked this cake and stuck it in the freezer to rapidly cool it. Fortunately it came out pretty well. It sunk a tiny bit in the middle but it held up. I made vanilla cake with key-lime buttercream. I also brushed the cake with simple syrup and lime juice and the cake tasted delish. 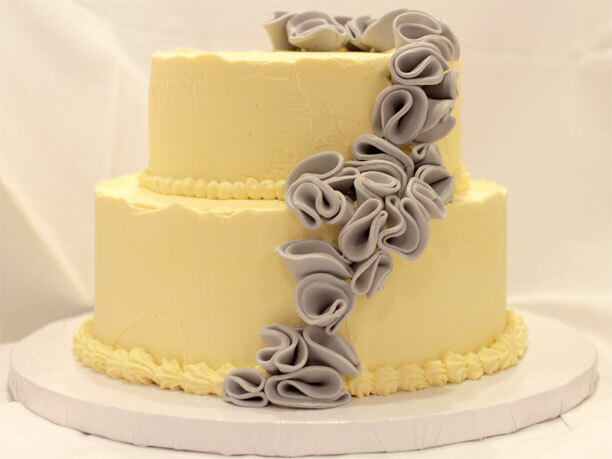 I made these cute fondant ruffles. 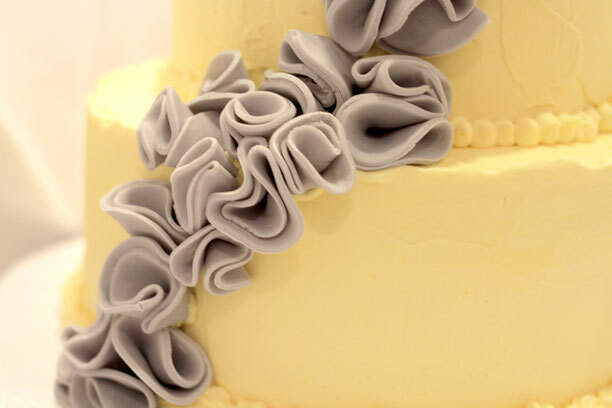 These ruffles are a great way to quickly decorate a cake with a beautiful cascade. They are super easy to make. All you need to do is roll out the fondant thin but not too thin. If you’re using a pasta maker, just put it on the thickest setting. Cut the fondant into circles and fold the circles twice in half. I let them dry for a few minutes before I put them on the cake so they could hold their shape. I’m super happy with how this cake came out, considering the time restraint. I think next time I’ll play with the colors to try to get a slightly brighter yellow.